DescriptionThese cups offer a stylish take on the party essential, with a sophisticated colour palette of mint green and gold defines this collection of tableware and accessories, complemented by a marble-effect design to create something truly unique for your celebrations. Each pack contains 8 Paper Cups. 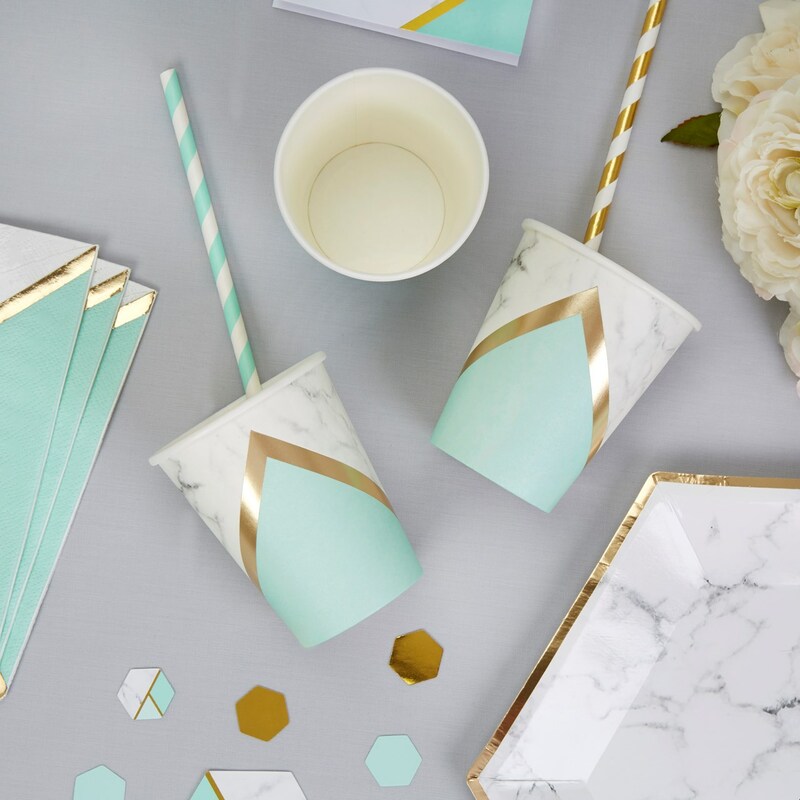 These cups offer a stylish take on the party essential, with a sophisticated colour palette of mint green and gold defines this collection of tableware and accessories, complemented by a marble-effect design to create something truly unique for your celebrations. Each pack contains 8 Paper Cups.